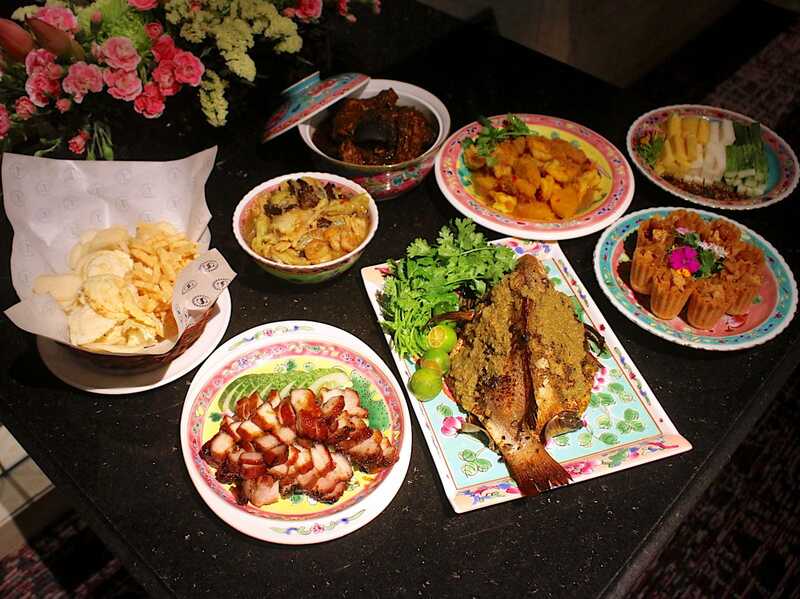 If you love indulging in a good Peranakan spread, you might like to check out The Dining Room and Shermay Lee's collaboration. This sixth generation Nyonya needs no introduction but she's probably most well-known for her award-winning cookbooks featuring recipes from her Peranakan grandmother. Shermay has curated 20 heritage favourites for Sheraton Towers' The Dining Room x Shermay Lee's Kuehtessentially Peranakan showcase. It happens every on weekends in April (7 to 29). 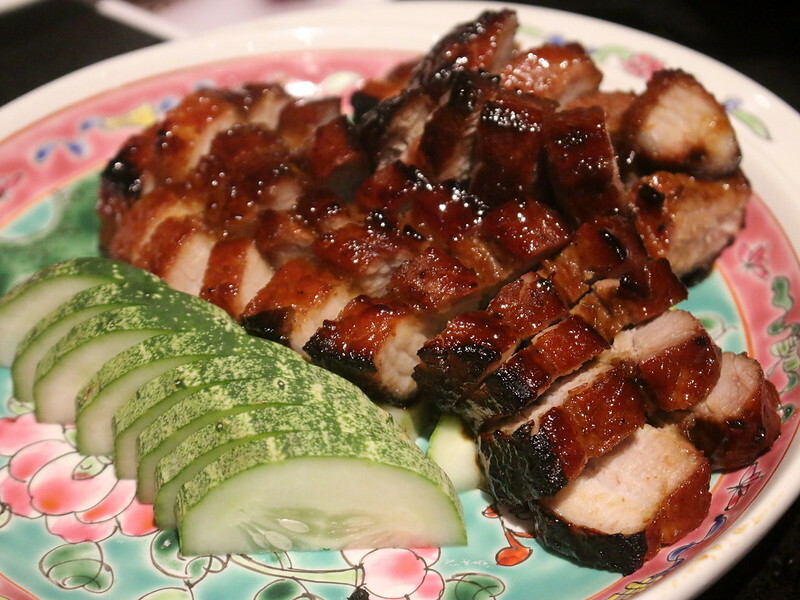 These are some of the dishes you can look forward to. 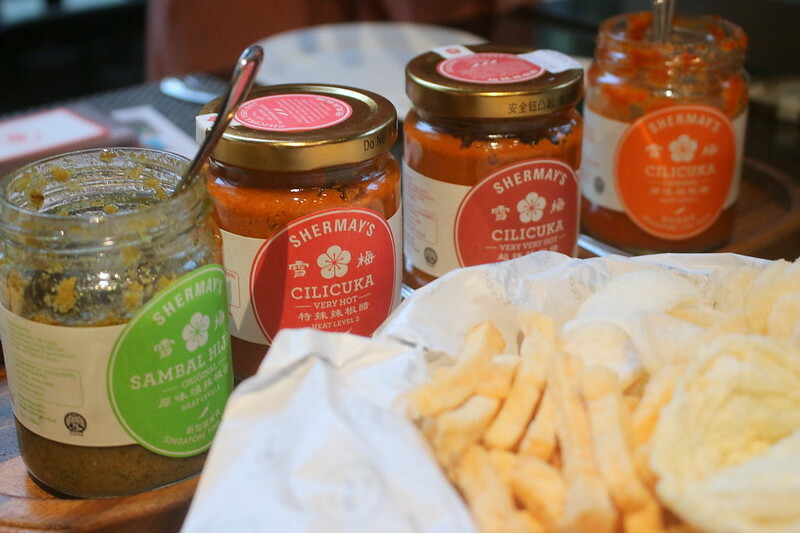 What better way to whet the appetite than with Shermay's Cili Cuka (vinegary chili sauce) served with an assortment of keropok (shrimp crackers). There are three different levels of spicy heat: Hot is the mildest; Very Very Hot is completely made of chili padi (birds eye chillies) and that's my favourite. There's also Sambal Hijau (green chili spice paste). Shermay has these sauces bottled and retailing in stores. Personally, I would add more salt to the chili pastes since I prefer stronger flavours. Definitely squeeze that calamansi lime onto the sambal too. 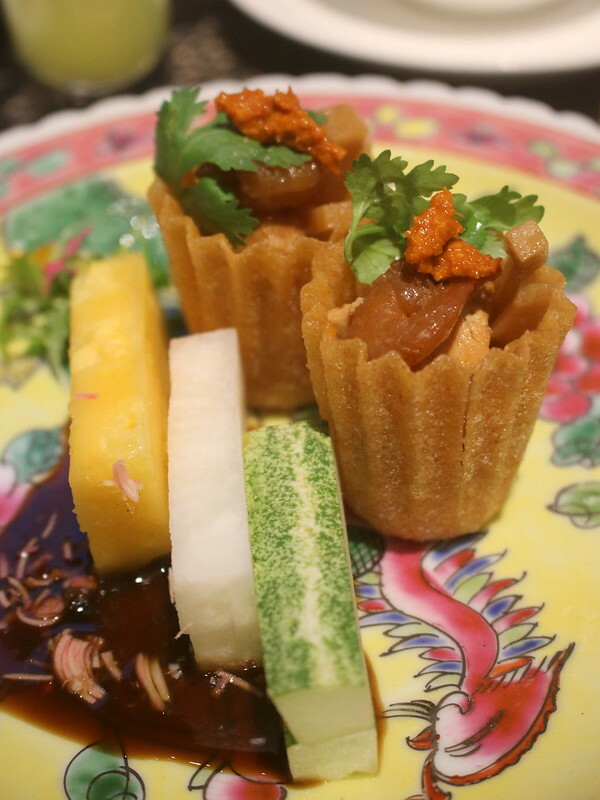 I really like the starters - Rojak Jawa and Kueh Pie Tee. You can assemble and customise the rojak to your heart's content at the DIY station from an array of bite-sized fruits and vegetables with an addition of shredded pink ginger bud for a Peranakan touch. Fans of buah keluak will not be left out. 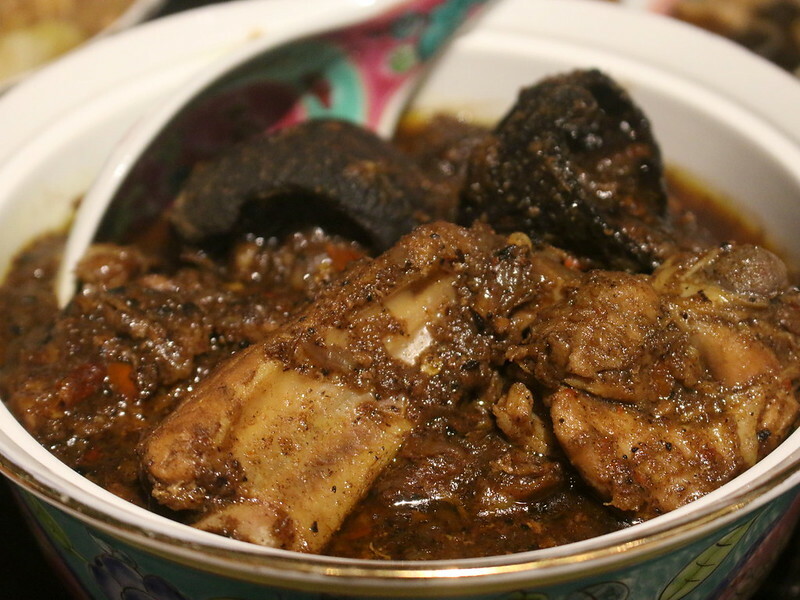 The Ayam Buah Keluak not only has chicken thigh, but pork ribs as well. I like that (hey, ribs anytime over chicken). The whole process of making this dish requires three days of laborious preparation. The Chap Chye is probably the best dish of all. 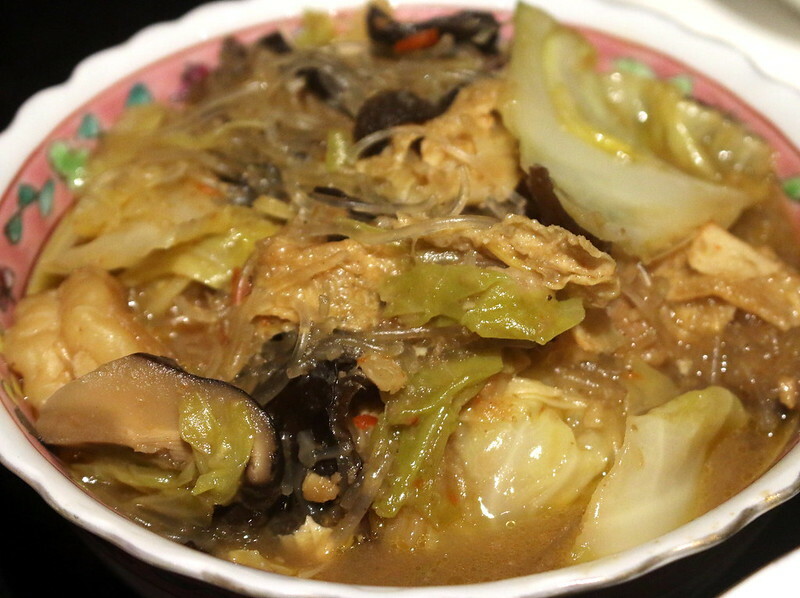 This dish is so often cooked to a pointless mush but here there's a lovely balance of textures and flavours from all the ingredients: cabbage, Chinese mushroom, glass noodles, pork belly and dried tofu skin all benefiting from a robust stock. You'll definitely want a second helping. 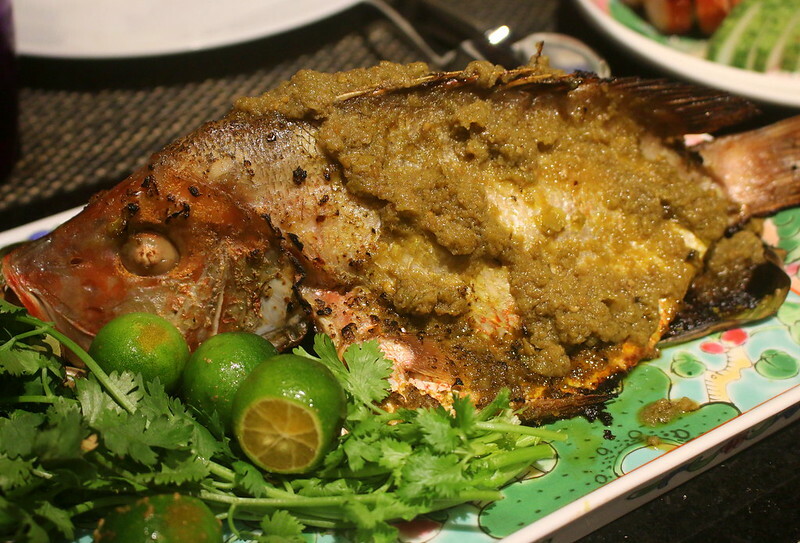 The visual showstopper is probably the Oven-baked Snapper with Sambal Hijau, a rustic dish of whole snapper wrapped in banana leaves and baked with a generous spread of sambal hijau and topped with freshly squeezed calamansi limes. The sambal is really mild and the fish is even better with some dark soy sauce (and some cut chili padi for me, please). 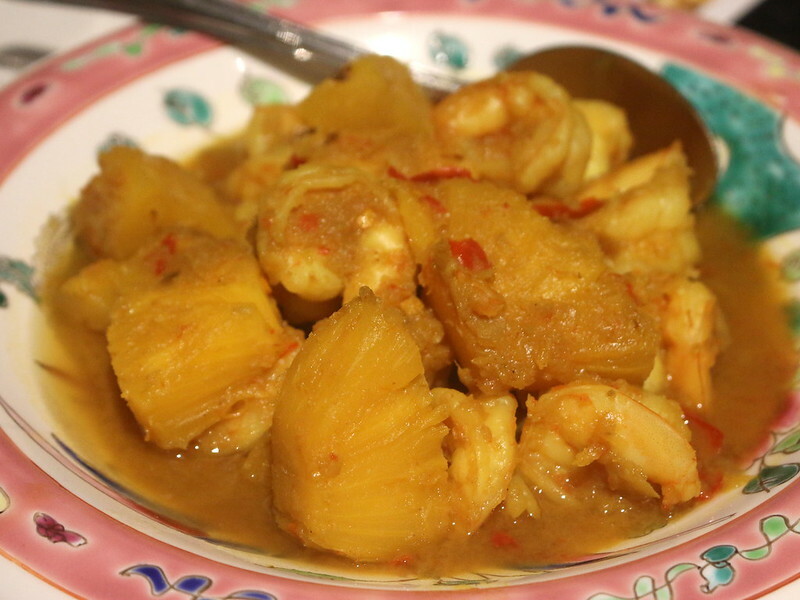 Udang Nanas Pedas has fresh prawns and pineapples married in a palate-cleansing aromatic gravy. It may say Pedas (spicy) but it's not at all. Don't be afraid. 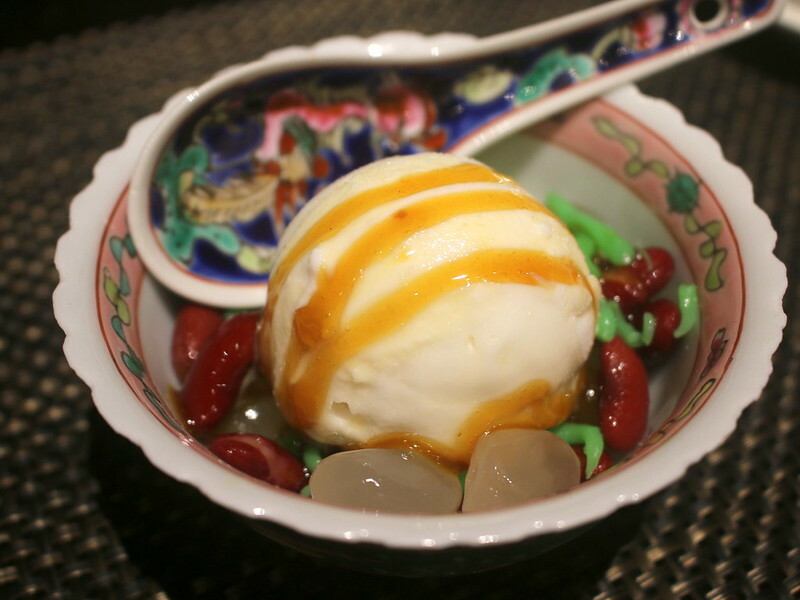 The Coconut ice cream chendol is a treat. It's really sweet but the rich coconut ice cream is worth savouring slowly. If you'd like to add some variety to your dinner, there are international and local favourites also prepared by Executive Chef Eric Cheam and his culinary team. Seafood on ice, roast beef, bak kut teh and chicken rice. 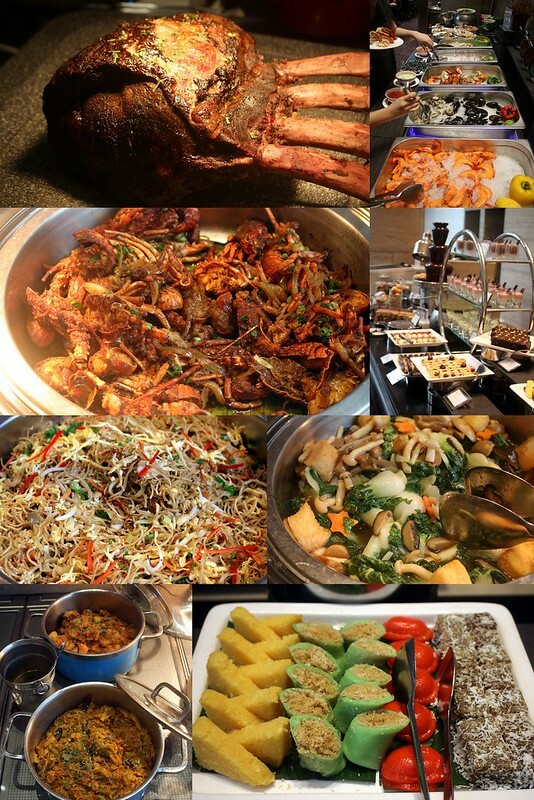 The Dining Room x Shermay Lee weekend dinner buffet promo runs 7 to 29 April at Sheraton Towers. Prices: S$68++ for adult and S$34++ for child. Many thanks to Sheraton Singapore and Shermay for the invitation and hospitality.